Retailing is one of the pillars of the economy in India and accounts for 13% of GDP. The retail industry is divided into organised and unorganised sectors. Over 14 million outlets operate in the country and only 4% of them being larger than 500 sq ft (46 m2) in size. Organised retailing refers to trading activities undertaken by licensed retailers, that is, those who are registered for sales tax, income tax, etc. These include the corporate-backed hypermarkets and retail chains, and also the privately owned large retail businesses. Unorganised retailing, on the other hand, refers to the traditional formats of low-cost retailing, for example, the local kirana shops, owner manned general stores, paan/beedi shops, convenience stores, hand cart and pavement vendors, etc. Here is a list of the best Electronic Retailers of India. 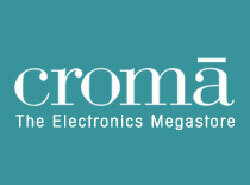 Croma is India’s first, large format, specialist retail chain for consumer electronics and durables. It is a TATA Enterprise. Croma helps you shop for 6000 different products accross 8 categories in a world class ambience. Croma is promoted by Infiniti Retail Ltd, a 100% subsidiary of Tata Sons. Woolworths, one of the world’s leading retailers, provides technical and strategic sourcing support, ensuring that you buy nothing but the best. Croma’s first store opened on October 9, 2006 at Juhu in Mumbai, and it’s rolling out many more stores across India. So, no matter where you are, if you want high-quality products, backed by advice you can trust, head for the nearest Croma store. 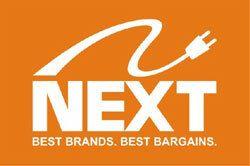 NEXT Retail India Ltd. is India’s largest electronic Retail Chain. Incorporated in 2003. Next is one of the emerging giants in organized retailing of consumer electronics, home appliance, IT, imaging, accessories and small home appliances. It has been formed to tap the immense potential promised by the retail industry. NEXT is a multi-brand multi-product retail chain and stocks an entire range of consumer durables right from Air-conditioners, FPD (Flat Panel Display), CTV, DVD, STB, Home Theater systems, Cameras, Mobilephones, Gaming, Washing Machines, Refrigerators, Microwaves to small home appliances. 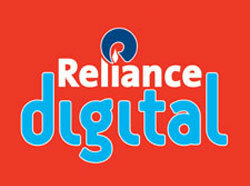 Reliance Digital – your one stop shop with cutting edge technology for the entire range of household electronics, appliances, computers, gaming and telecom products brought to you in a demystifying, enjoyable & experiential ambience supported by the highest quality of service and value. With over 150 international and national brands and over 4000 products at amazing prices, we have the largest display of models to help you find the right solution that fits your lifestyle. The range at Reliance Digital spans, Audio and Video products (TV’s, DVD players, Car Audio players), Electronic Musical Instruments and Digital Cameras, Gaming Consoles and Games, Computers and Peripherals, Mobile and Fixed line instruments, Durables like, Air Conditioners, Refrigerators, Water Purifiers, Kitchen and Home Appliances. Staples is the world’s largest office products company and a trusted source for office solutions. We provide products, services and expertise in the categories of office supplies, technology, furniture, Copy & Print, and cleaning and breakroom. Staples was founded in 1986, and today has annual sales of $25 billion, ranking second in the world in eCommerce sales. With 90,000 associates worldwide, Staples has a presence in more than 26 countries throughout North and South America, Europe, Asia and Australia — bringing easy to offices and consumers everywhere. Staples headquarters is located outside of Boston, Massachusetts. eZone, is the electronics and consumer durables specialty store from the Future Group, and displays numerous brands, instead of the conventional multi-brand, category wise displays in electronic retail stores. Major national, as well as international brands have come together to be a part of this eZone. Ezone is an experience led electronics lifestyle format format that brings together the best in national and international consumer electronic brands. With each store typically larger than 12,000 square feet in size, an Ezone store truly enables you to experience electronics through three dedicated zones – Liberation Zone with personal electronics products like iPad, Laptops etc., Experience Zone providing products to satisfy all entire entertainment needs and in Home Zone you get to pick home appliances like A.Cs, refrigerators etc. Vivek Limited is a professionally managed public Limited company carrying two retail brands – viveks, Jainsons adding to the formidable strength of 1000 employees. Vivek Ltd is one of the most leading and respected consumer electronics and home appliances retail chain in India. Vivek popularized several brands by creating visibility and has the distinction of being a market leader and trendsetter with continuous support from the principal companies. Reliable services are ensured through cordial customer relationships. CII and Mickinsey raved about the Viveks brand as “more trusted than the brands it sells”. Incepted in the year 2000, Lotus Electronics Supermarket is one of the largest integrated consumer electronics, home appliances and IT products stores in India. It enjoys the position of being the pioneer of concept stores in the field of consumer electronics, home appliances and IT products in Indian retail industry. As the industry leader of the region, Lotus is dedicated to continuous innovation and bringing an exciting new shopping experience to its customers. Today, it operates out of 7 stores in Indore, Bhopal, Ujjain and Raipur covering the states of Madhya Pradesh and Chhattisgarh. 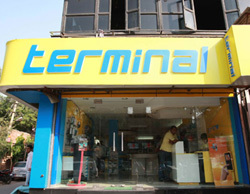 Salora Retail Ventures Ltd, a part of consumer durables maker and distributor, Salora International Ltd, has launched a retail electronics chain called Terminal, initially with nine stores in the national capital region. Salora claims its retail model—a neighbourhood store format—will help it stand out by being convenient for the customers and also cost-effective for the company. 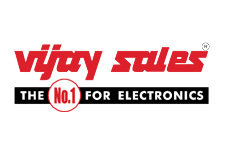 Vijay Sales is an Indian electronics retail store chain based out of Mumbai. It is headquartered in Kandivali,Mumbai. Vijay Sales was started as a small TV showroom at Mahim by Nanu Gupta in 1967. It currently operates 52 stores across the states of Maharastra, Gujarat and Delhi and has more than 9,000 Products to choose and is located in prime location all over India and has 9 stores in Delhi, 1 store in Gurgaon,4 stores in Ahmedabad,2 stores in Surat, 17 stores in Mumbai,4 stores in Thana,2 stores in Kalyan,2 store in vasai,4 stores in Navi Mumbai,7 store in Pune.Two more stores are going to be open in Nagpur by 2013.